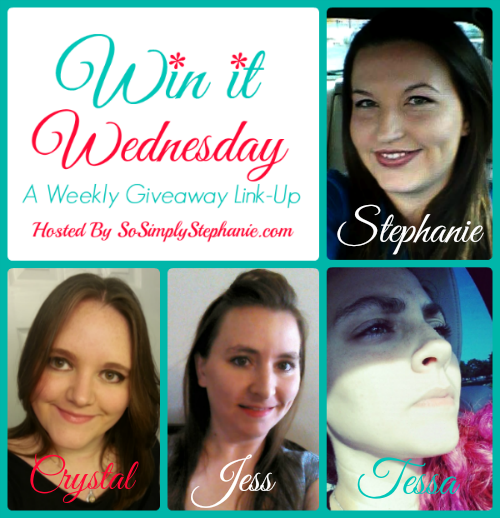 Welcome to Win It Wednesday #17! It's time for another awesome giveaway link-up and this week we have some very exciting news! 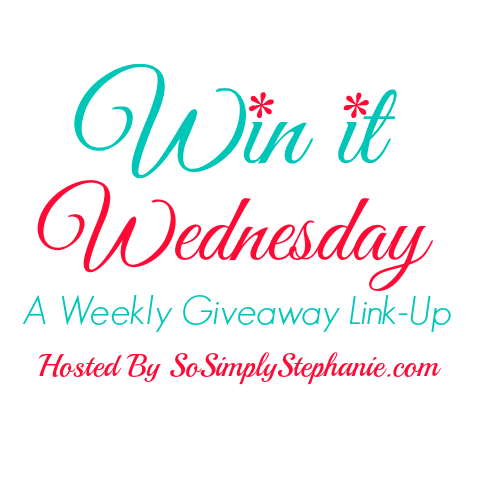 Starting this week, not only will you have the chance to win awesome prizes with the giveaways added to the linky, but now, you have the chance to win a prize here each week- right here on Win It Wednesday! Each week will be featuring a new giveaway exclusive to Win It Wednesday! Not only will you find awesome giveaways linked up in the linky but, each week you will have the chance to win another great prize sponsored by our host and co-hosts, great brands we work with and/or some of the participating blogs that participate in the link-up. Each week will be a new giveaway so be sure to subscribe to Win It Wednesday if you haven't already! Open World Wide! Void where prohibited. Winner will be notified via email and have 48 hours to respond or prize will be forfeited. Share Win It Wednesday by Tweeting! I think Win It Wednesday is awesome!